Someone was crying. Diana Chapa followed the sound until she was standing in front of an old wooden fence at the back of a home in Houston, Texas. When she peered through a gap, she saw something that crushed her heart. 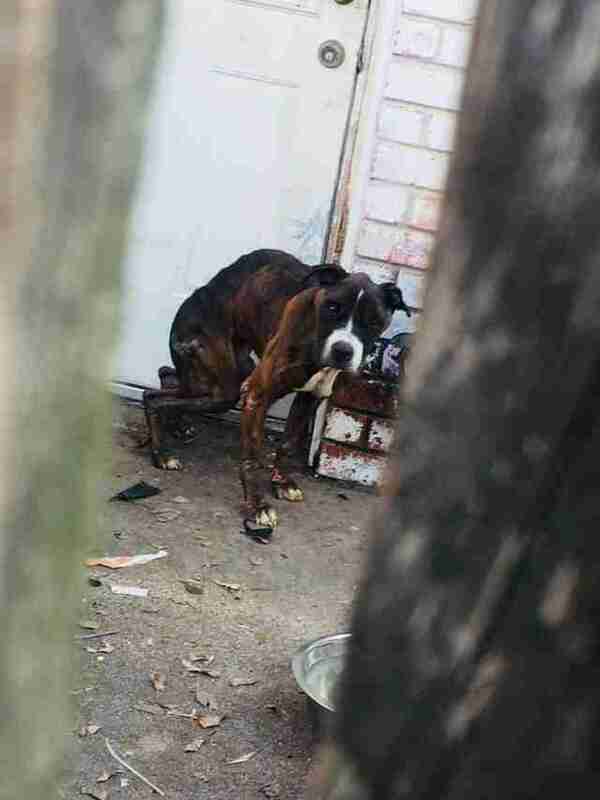 A skinny dog with a hunched back was bent over a cement patio. He had no food and no shelter — and the house behind him was empty. 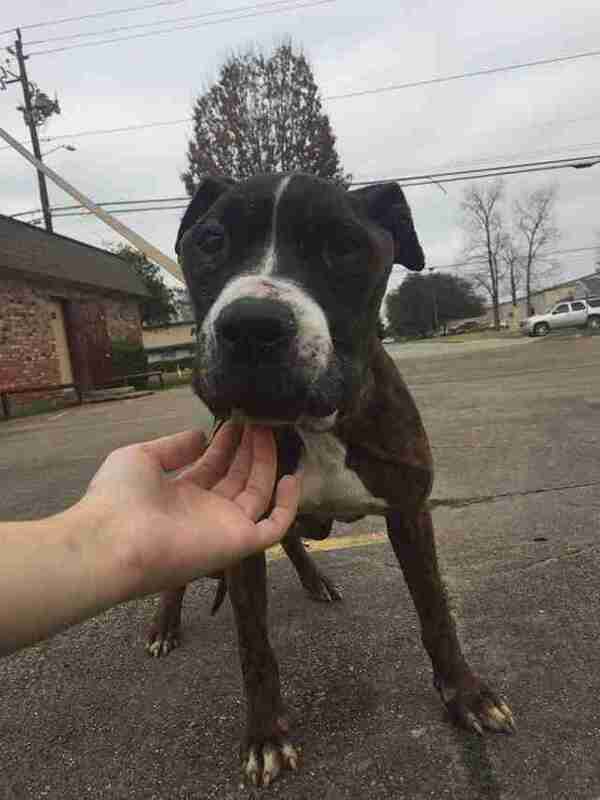 Chapa immediately phoned animal control and asked for someone to rescue the boxer mix. But sadly, no one ever came. 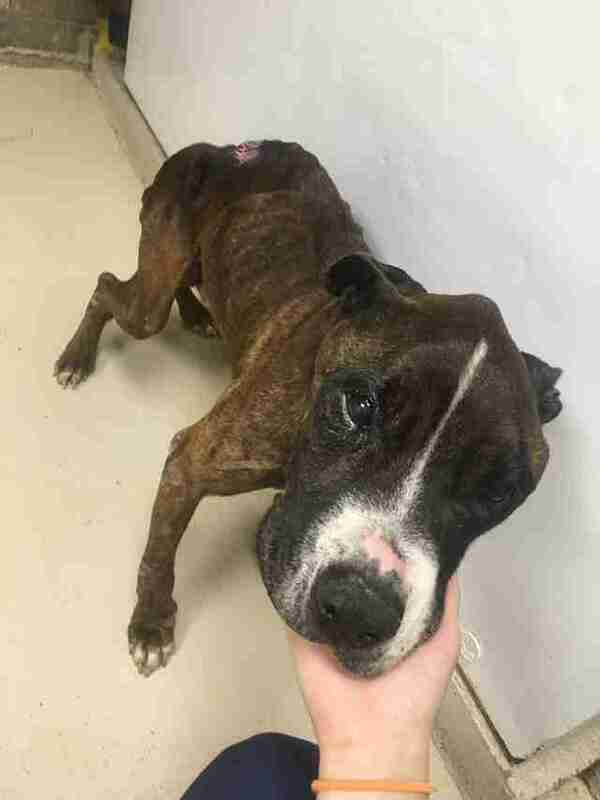 “After about five or six or seven days … she finally thought, ‘I can’t take this anymore,' and she busted open the gate and got him,” Stacey Silverstein, cofounder of Rescue Dogs Rock NYC, told The Dodo. Chapa took the dog, now named Joshua, back to her home, where she gave him food, water and a warm bed, as well as lots of love and attention. Chapa also tried to figure out what had happened to Joshua. He was about 6 years old, and she learned from neighbors that he’d been owned by one family and kept outside on the patio for most — if not all — of his life. 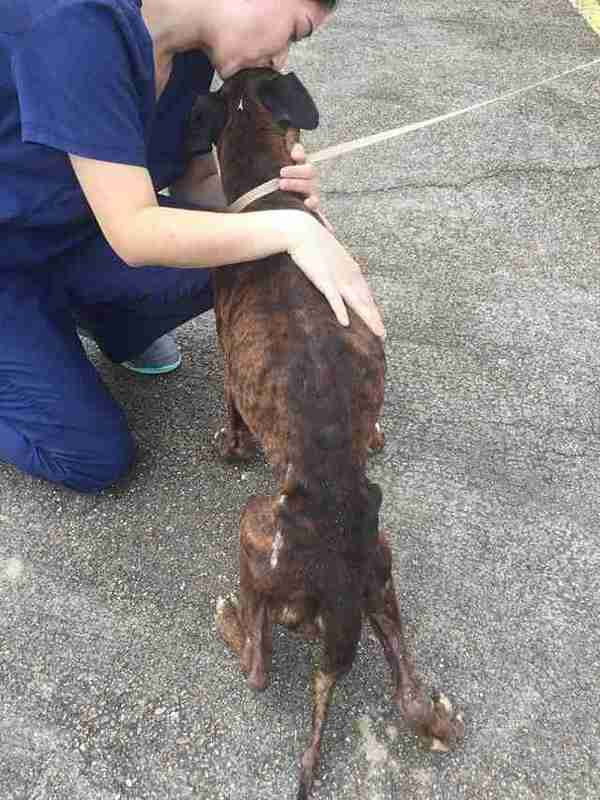 Joshua was so skinny and malnourished that he urgently needed to see a vet — so the next morning, Chapa took him to a local clinic where she works as a vet tech. Joshua seemed just as excited to be at the vet as he was to be in Chapa’s home, which was surprising, since most dogs hate vet visits. 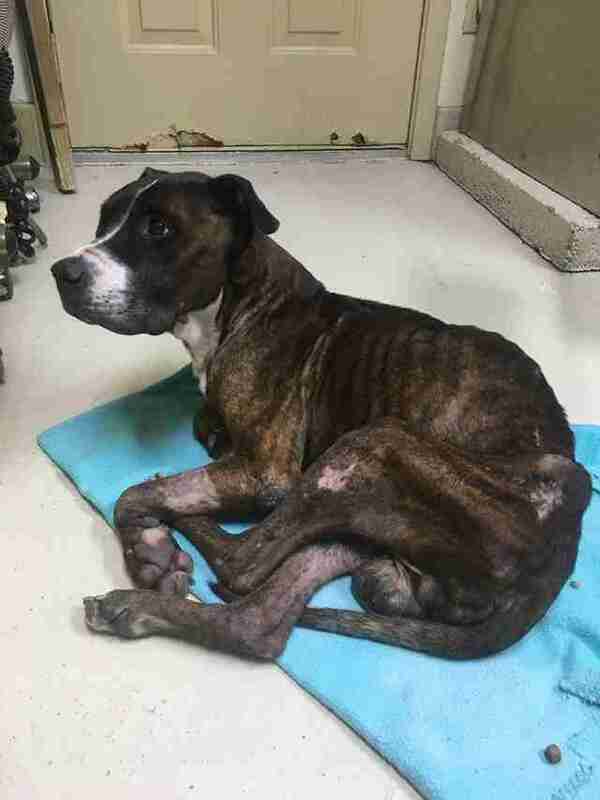 Joshua is still undergoing treatment, but once he’s stable, he’ll move to New York City, where the team at Rescue Dogs Rock NYC will take him into their care. Eventually, he’ll be looking for a forever home. To help Joshua get strong and healthy, you can make a donation to Rescue Dogs Rock NYC. And if you’re interested in adopting him, contact the rescue group.